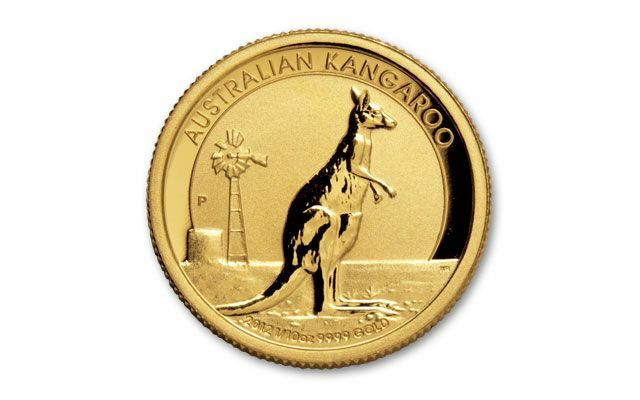 Australia's world-renowned Perth Mint issued this 2012 Australia $15 Red Kangaroo Gold Proof as part of its Discover Australia series. 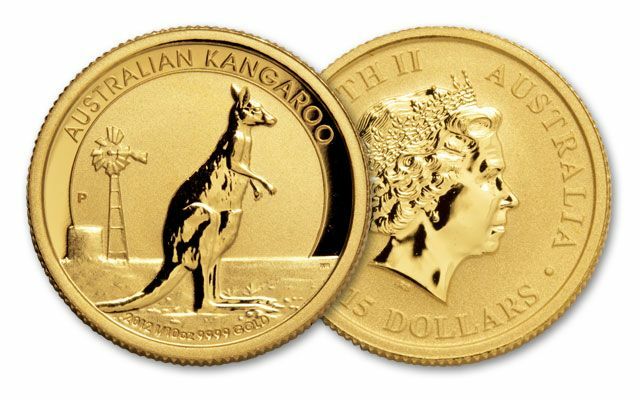 The reverse features a Red Kangaroo jumping in front of an Australian bush scene. 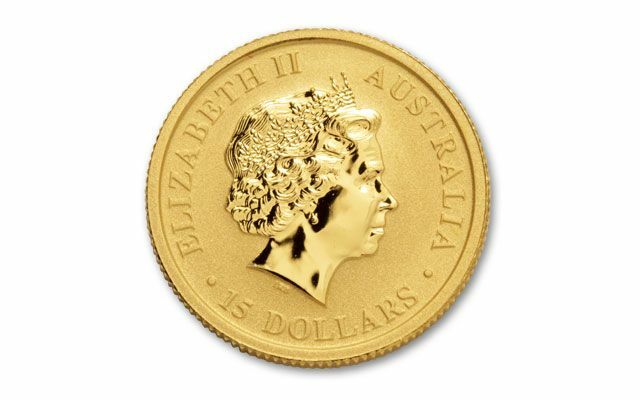 The obverse displays a stately portrait of Her Majesty, Queen Elizabeth II. Each proof is double struck to a deeply mirrored finish from one-tenth ounce of 99.99% gold. It's a government guaranteed precious metal content that's stamped right into the surface of the coin. Only 1,000 of these proofs were minted. Secure yours before our small supply disappears. Each comes in a mint presentation case with a numbered certificate of authenticity.